The latest update to the Bminer Equihash Nvidia miner brings a number of useful improvements for users that are mining ZCash (ZEC) or other Equihash-based crypto coins on Nvidia GPUs. 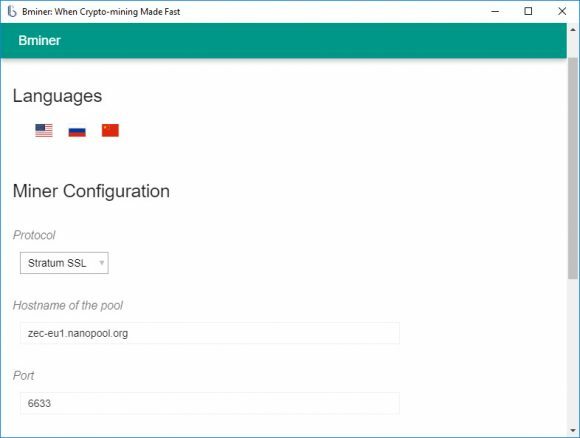 The newest version 6.0.0 of the miner brings slight performance improvement in the hashrate, faster startup time and reduced CPU usage, comes with a failover server support, provides reduced reject rate caused by stale shares and a simple GUI launcher for Windows to make it even easier for novice users to set thing up. There are of course a number of other smaller improvements and fixes also available in this update to help you get better results and give you more flexibility. 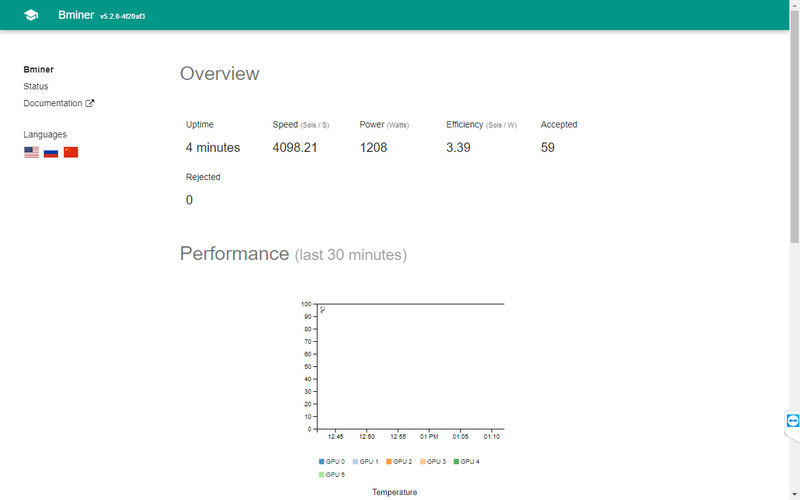 For those of you that have not yet tried this Equihash miner, do note that it also has a simple web-based status interface that shows useful information like uptime, speed, power consumption and efficiency as well as some graphs for temperature and hashrate variation. So all in all a very nice list of improvements in the latest version of Bminer that makes it an even better alternative to more popular and widely used alternatives such as EWBF’s miner or dstm’s ZCash CUDA Miner. If you have not tried this miner the last time we talked about it when it was still new and getting up to speed, now might be a good time to give it a go. 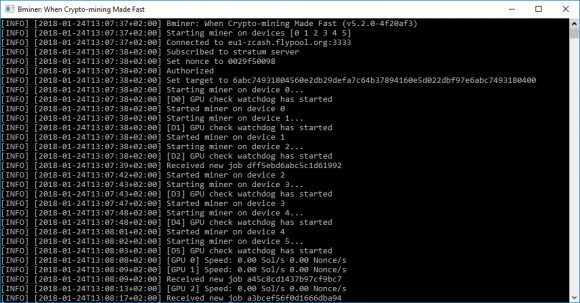 Bminer is a relatively new miner for Nvidia GPUs for mining cryptocurrencies using the Equihash algorithm such as Zcash (ZEC). 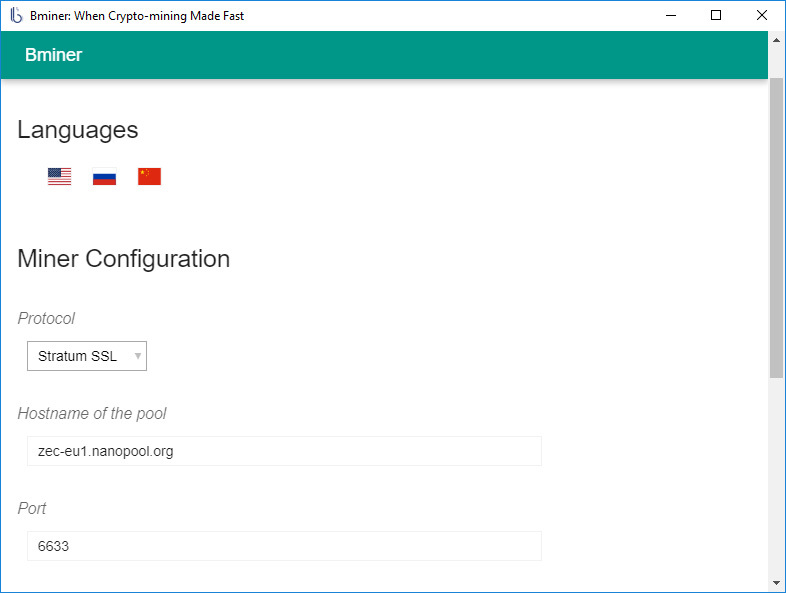 It is a closed source miner, available for both Windows and Linux operating systems and comes with a 2% dev fee included (optional, though disabling it apparently removes some optimizations). Bminer comes as an alternative to the popular EWBF miner, the development of which has been stalled for a while already, as well as the more recent dstm ZCash CUDA Miner that looks promising and is actively being developed, but still lacks some features such as failover pool support for example. So any new alternatives such as Bminer that are being actively improved and developed are more than welcome for the users and the crypto community as well. According to its developers and most users that have tried the Bminer already it is the fastest publicly available Equihash miner for Nvidia GPUs and we can confirm that our initial impressions are showing a better local hashrate compared to the alternatives mentioned. 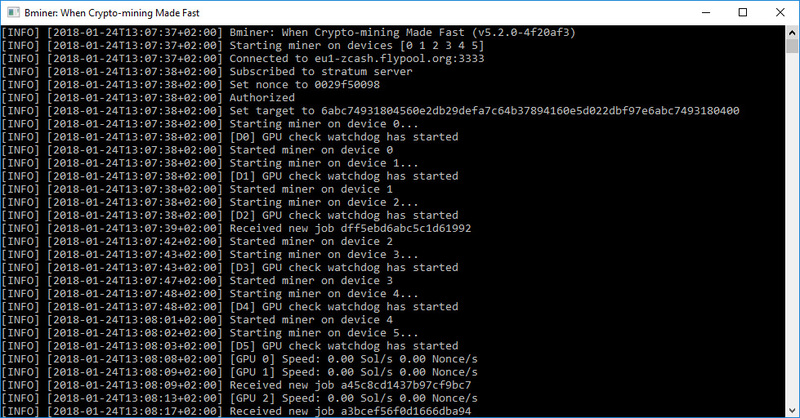 So if you have a Compute Capability 5.0 or newer Nvidia GPU used for mining you might want to give Bminer a go and see if it will work better for you. The miner does come with SSL support as well as Nicehash support, has some interesting extra features, though it is still very easy to use. 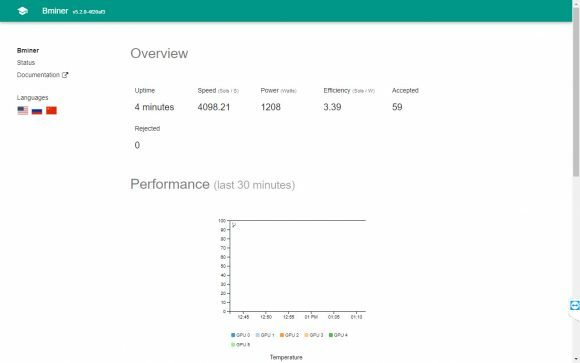 There is also an API and a web-based interface available for monitoring of your mining rigs that can be quite useful, so go and give it a try and report your results.